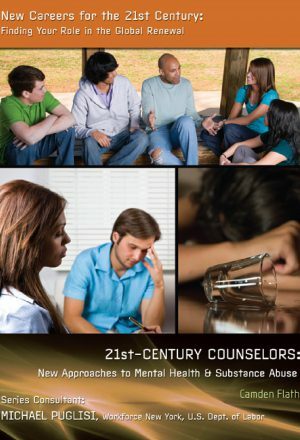 Many people around the country deal with problems of mental illness and substance abuse, as well as trouble with finding work communicating with family members, or being bullied at school. The demand for counselors and psychologists who can give support to individuals dealing with these issues and their families is on the rise. The young adults of today will be the job force of tomorrow, so choosing a career that will best fit with the needs of the changing world will be important to job satisfaction and a successful life. With the vast array of career and job options, it will also be important for young adults to understand which work will be the best match for their interests, talents, goals, and personality types. Certain careers are expected to gain importance within the early decades of the twenty-first century. According to the United States Bureau of Labor Statistics, employment in counseling is expected to grow faster than the average rate for all occupations. 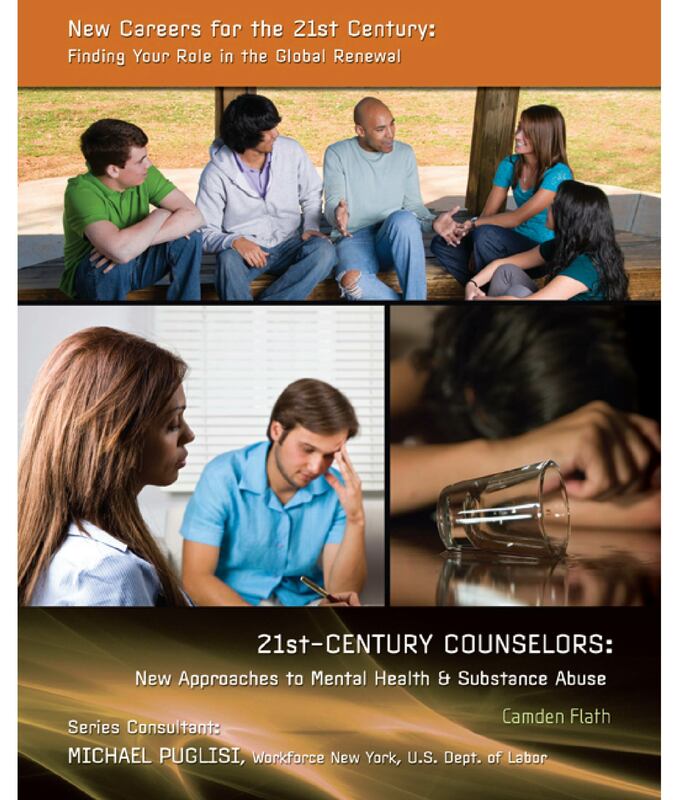 As attitudes change about mental health, addiction, and emotional well-being, particularly in the level of open discussion surrounding these topics, more people are turning to counselors and psychologists for assistance. Are you ready to help? You've probably heard a lot about ways you can conserve energy by changing the type of light bulbs you buy, driving a hybrid vehicle, or recycling your garbage. These are all important ways to help solve the world's energy crisis, but did you ever consider a more direct contribution? 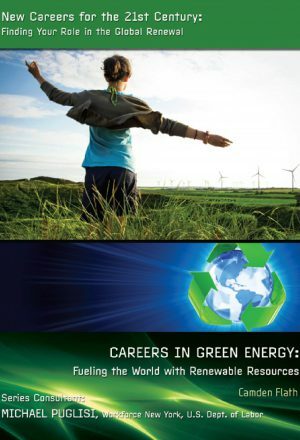 Choosing a career in green energy could be a way to help the world and be part of an exciting and fulfilling new field. The young adults of today will be the job force of tomorrow, so choosing a career that will best fit with the needs of the changing world will be important to job satisfaction and a successful life. With the vast array of career and job options, it will also be important for young adults to understand which work will be the best match for their interests, talents, goals, and personality types. 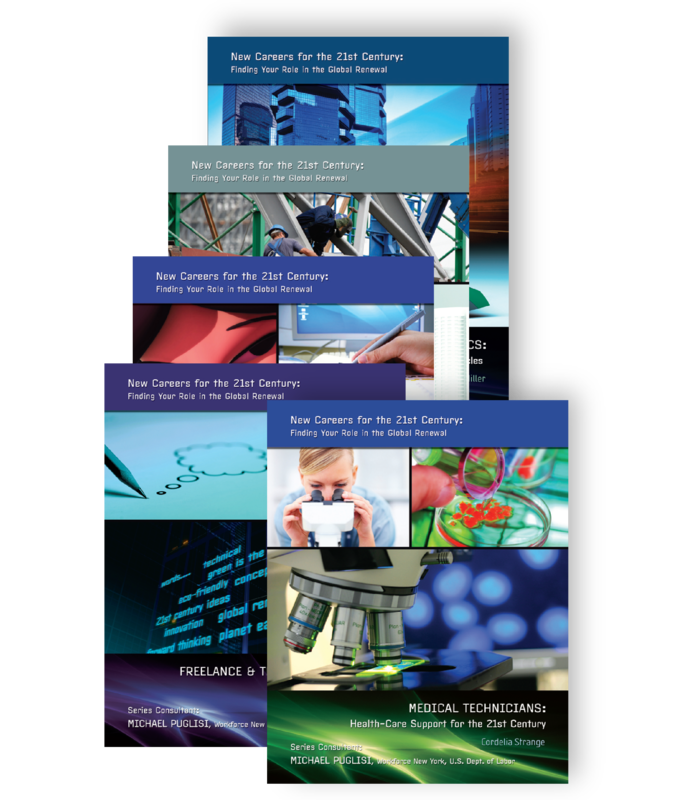 Certain careers are expected to gain importance within the early decades of the twenty-first century. Many occupations related to green or renewable energy are on track to grow faster than the average rate for all occupations. "We know the country that harnesses the power of clean, renewable energy will lead the twenty-first century," said President Barack Obama in an address to Congress on February 24, 2009. 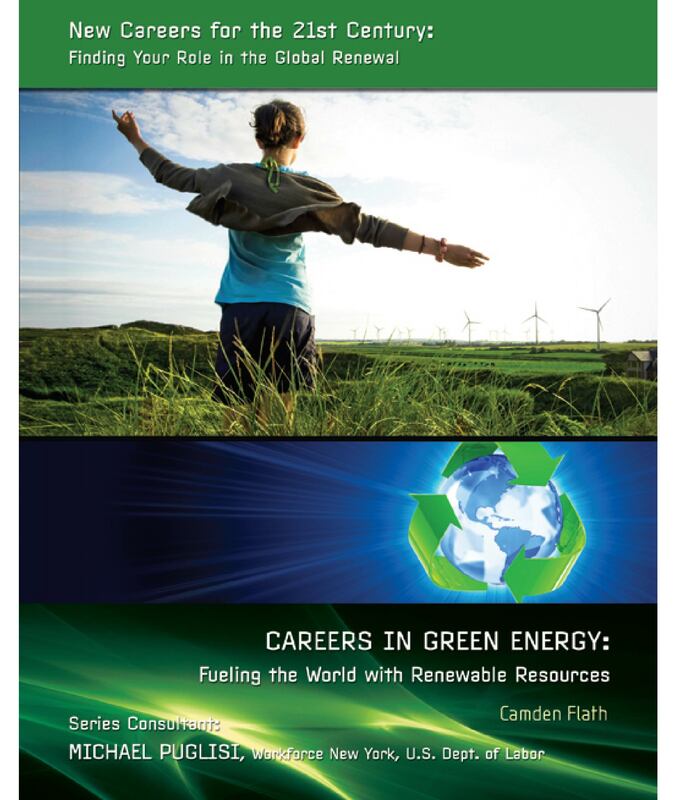 If you choose a career in green energy, you too will be one of the future's leaders! Global warming, water and air pollution, and the loss of ecosystems are just a few of the environmental issues facing us today. The good news is there are actions we can take to prevent further issues, and hopefully even to correct some of the negative effects. 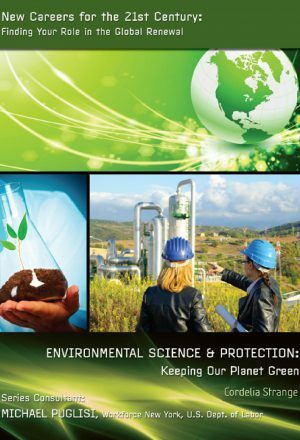 There are even people who choose a career in environmental science and devote their lives to studying and trying to fix environmental issues-could you be one of them? The young adults of today will be the job force of tomorrow, so choosing a career that will best fit with the needs of the changing world will be important to job satisfaction and a successful life. With the vast array of career and job options, it will also be important for young adults to understand which work will be the best match for their interests, talents, goals, and personality types. Certain careers are expected to gain importance within the early decades of the twenty-first century. According to the United States Bureau of Labor Statistics, the number of jobs for environmental scientists and specialists is expected to grow much faster than the average rate for all occupations. 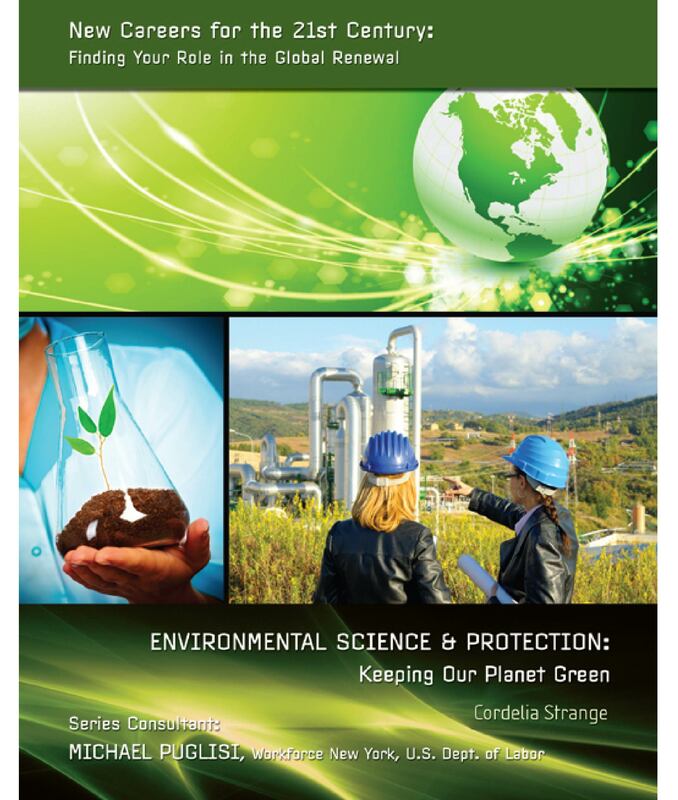 The environmental issues facing the planet today affect everyone in the world. If you choose a career in environmental science, you would be a part of making the planet a healthier place for future generations. You could help save the world-and that's not a bad day's work! Whether you're reading an online newspaper, a blog post, or your favorite novel on a handheld device, keep in mind that while you may be getting information in a different way than people have in the past, it still took a number of people to produce that content, including writers. Advances in technology and changes in the way we communicate must also be explained to new users through technical writing. The young adults of today will be the job force of tomorrow, so choosing a career that will best fit with the needs of the changing world will be important to job satisfaction and a successful life. With the vast array of career and job options, it will also be important for young adults to understand which work will be the best match for their interests, talents, goals, and personality types. Certain careers are expected to gain importance within the early decades of the twenty-first century. 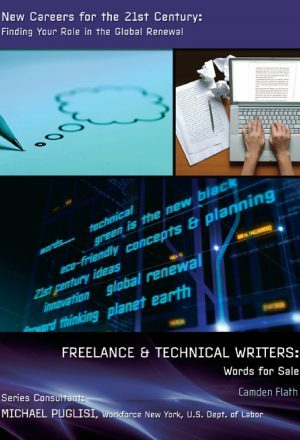 According to the U.S. Bureau of Labor Statistics, jobs in freelance or technical writing are on track to grow faster than the average rate for all occupations. 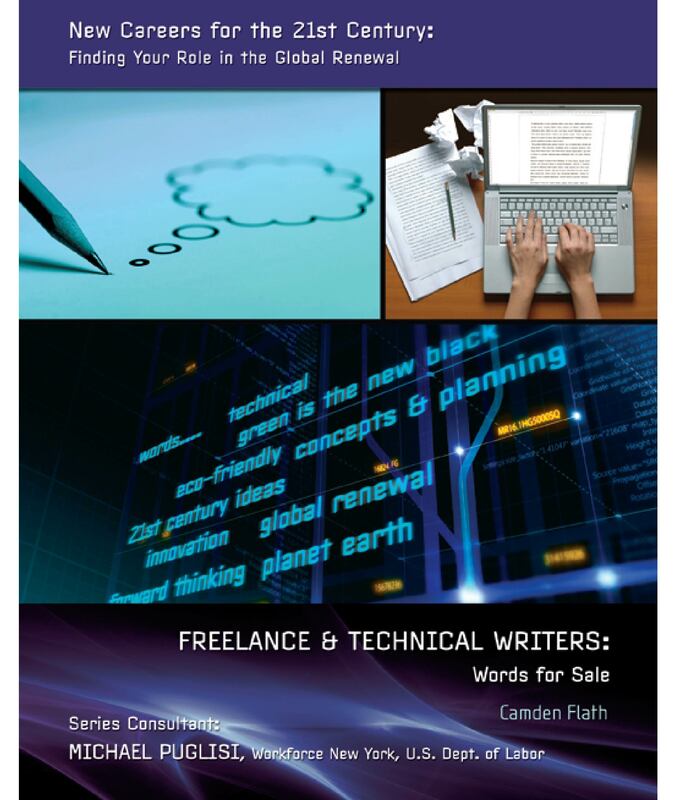 If you love to express yourself with the written word, a career in freelance or technical writing might be the right choice for you. You can still write a great novel in your free time! We can see the future developing all around us, from sustainable flooring under our feet to solar panels on our rooftops. 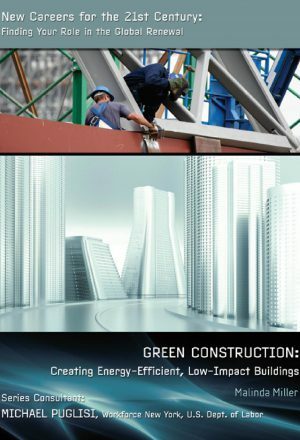 The construction industry is changing to become greener and these changes will have a lasting impact on the world and on construction workers of the future, because with a new world comes new career opportunities. The young adults of today will be the job force of tomorrow, so choosing a career that will best fit with the needs of the changing world will be important to job satisfaction and a successful life. With the vast array of career and job options, it will also be important for young adults to understand which work will be the best match for their interests, talents, goals, and personality types. Certain careers are expected to gain importance within the early decades of the twenty-first century. According to the United States Bureau of Labor Statistics, jobs in the construction industry are expected grow faster than the average rate for all occupations. 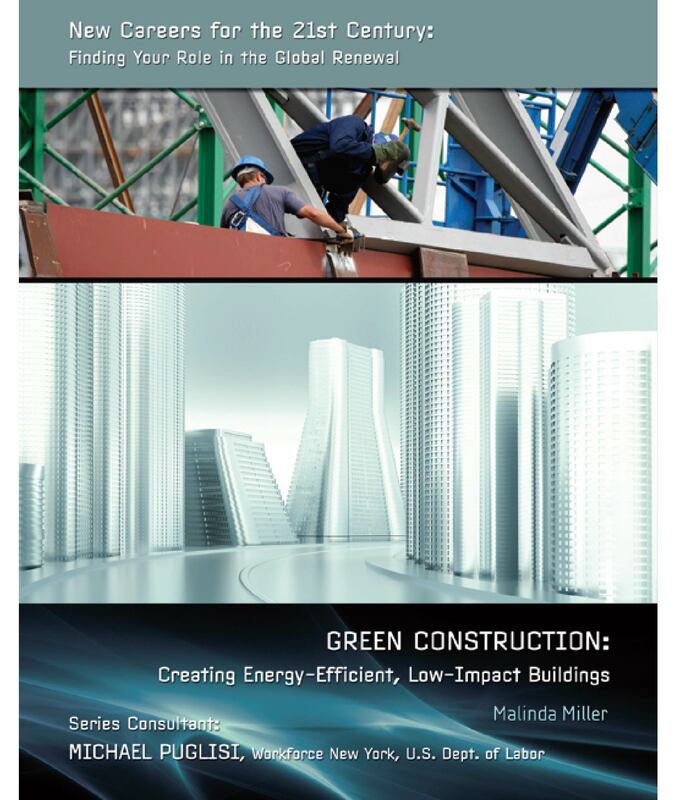 If you are interested in a career in construction, learning how to "build green" now will give you an edge over other workers in the future. 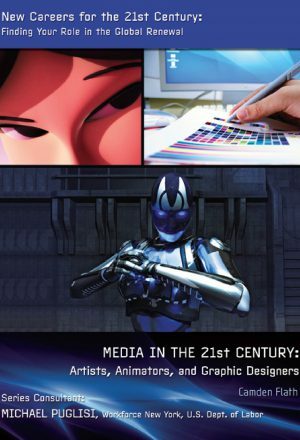 In today's world, many movies are entirely animated using computers, video games have highly detailed graphics, and companies are becoming more dependent on well-designed websites. In each of these cases, artists work hard to create eye-catching, awe-inspiring, attention-grabbing visual content to entice viewers, players, or consumers. Changes in the entertainment we want, the ways businesses try to reach customers, and how we get our information in the twenty-first century are all creating new job opportunities for artists. The young adults of today will be the job force of tomorrow, so choosing a career that will best fit with the needs of the changing world will be important to job satisfaction and a successful life. With the vast array of career and job options, it will also be important for young adults to understand which work will be the best match for their interests, talents, goals, and personality types. Certain careers are expected to gain importance within the early decades of the twenty-first century. 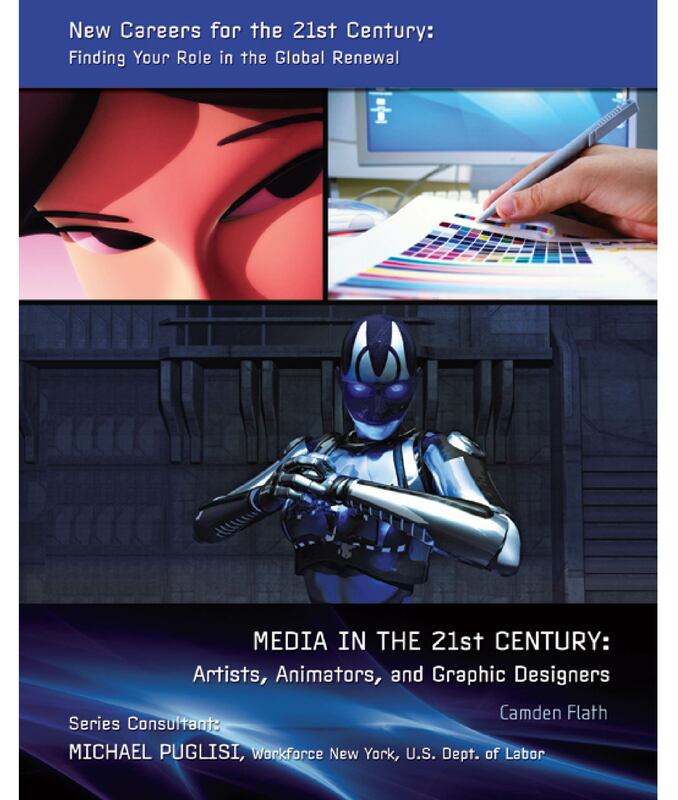 Careers in art, animation, and graphic design are among the job paths that will be growing steadily in the early part of the twenty-first century. The United States Bureau of Statistics predicts that employment in these industries is likely to grow slightly faster than the average rate for all occupations. If you are artistic, you may have been warned to find a job and just do art in your free time or you will never have any money. However, there may be a way to combine your art with a successful career-choose one of the jobs in this book and you won't have to starve! Some medical careers involve working closely with patients, but there are also many behind-the-scenes workers who are vital to the health industry. 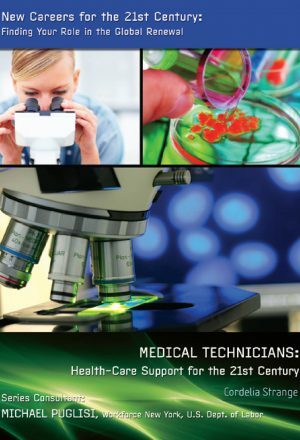 Medical technicians work in laboratories, respond and perform basic lifesaving procedures during medical emergencies, or specialize in medical record keeping and health care information access. 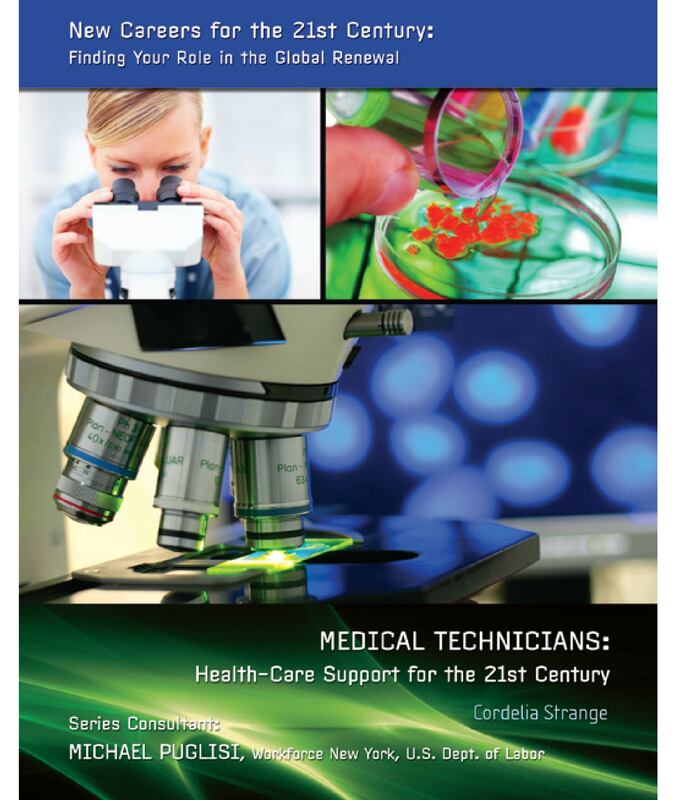 Which medical technician career is right for you? The young adults of today will be the job force of tomorrow, so choosing a career that will best fit with the needs of the changing world will be important to job satisfaction and a successful life. With the vast array of career and job options, it will also be important for young adults to understand which work will be the best match for their interests, talents, goals, and personality types. Certain careers are expected to gain importance within the early decades of the twenty-first century. 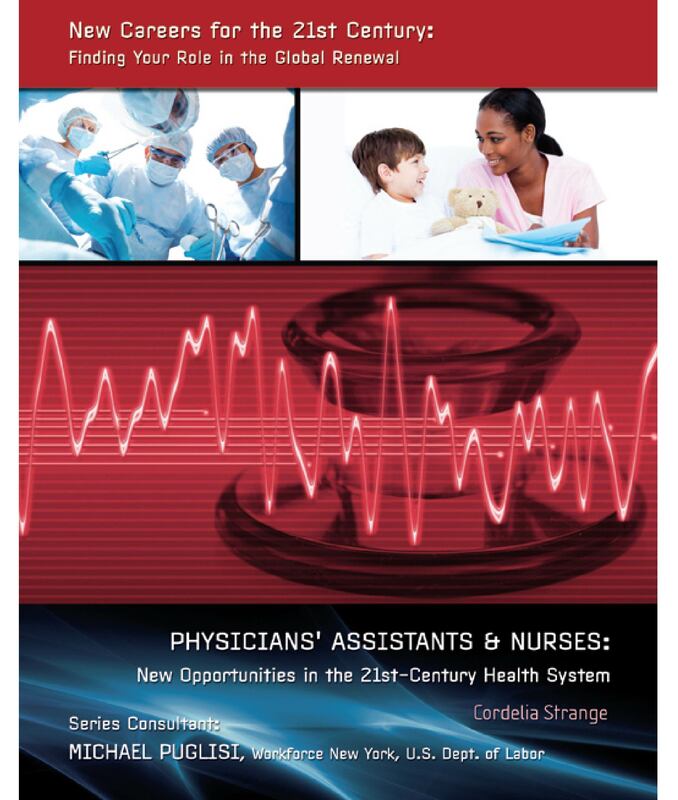 According to the United States Bureau of Labor Statistics, the number of jobs for medical technology is expected to increase much faster than the average rate for all occupations. If you are interested in becoming a medical technician, it is never too early to start learning your options or to begin gaining experience. 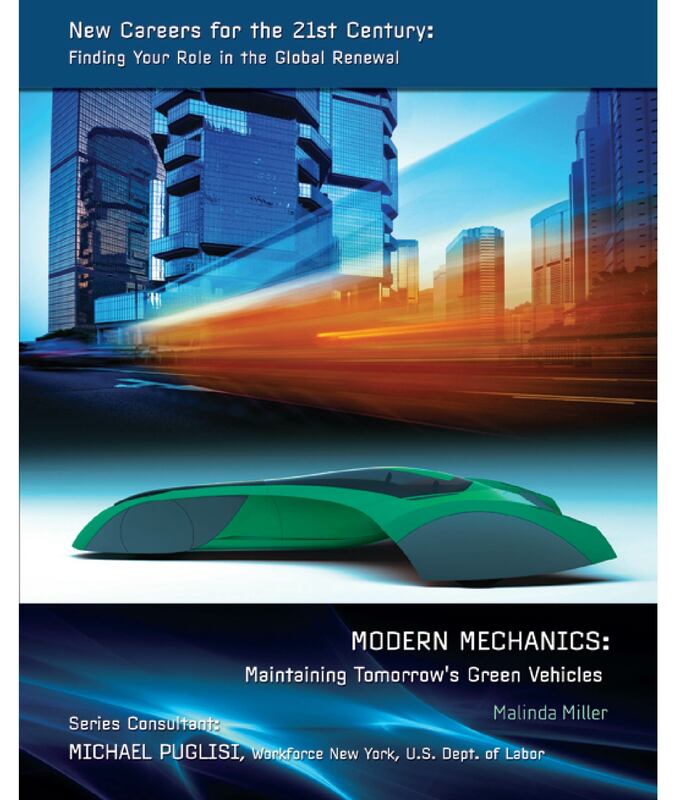 The cars of today have different maintenance needs than the cars of the past. The cars of the future may have different needs entirely. No matter what, cars will need mechanics that know how to properly maintain and repair them. The young adults of today will be the job force of tomorrow, so choosing a career that will best fit with the needs of the changing world will be important to job satisfaction and a successful life. With the vast array of career and job options, it will also be important for young adults to understand which work will be the best match for their interests, talents, goals, and personality types. Certain careers are expected to gain importance within the early decades of the twenty-first century. In general, the number of job opportunities for mechanics is expected to increase slower than the average for all occupations. However, job opportunities are expected to be very good for mechanics that complete a training program and receive special certification to work on alternative fuel vehicles. There are already millions of alternative fuel vehicles driving on the roads today. As this number grows, the world will need more mechanics who know how to work on this new generation of "green" vehicles. Could you be one of them? Doctors dominate many popular images of the medical industry, but they cannot do everything by themselves. Many other workers are vital to the healthcare industry. Physician assistants and nurses assist and support doctors, and perform many tests and tasks you might normally associate with your doctor. The young adults of today will be the job force of tomorrow, so choosing a career that will best fit with the needs of the changing world will be important to job satisfaction and a successful life. With the vast array of career and job options, it will also be important for young adults to understand which work will be the best match for their interests, talents, goals, and personality types. Certain careers are expected to gain importance within the early decades of the twenty-first century. 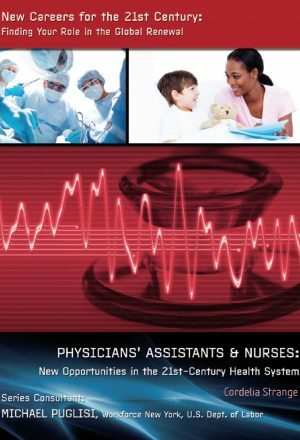 According to the United States Bureau of Labor Statistics, the number of jobs for physician assistants and nurses is expected to grow much faster than the average rate for all occupations. If you are interested in career in medicine, first decide where your interests and talents lie. Do you like to work with people? Are you interested in surgery, or are you more interested in comforting patients and their families? Once you understand your interests, choosing the right career will be easier. And maybe you will consider becoming a physician assistant or nurse instead of a doctor! As problems like poverty, hunger, diseases, drug addiction, and violence continue to challenge our society today, the need is growing for people who are willing to help individuals with these issues. 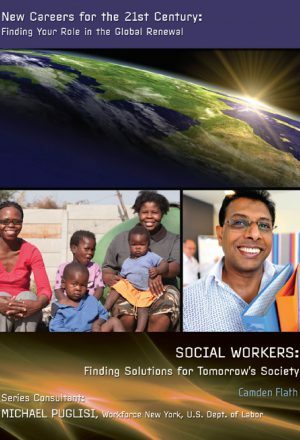 The demand is high and predicted to continue to increase for social workers committed to a career of service to people who need assistance. The young adults of today will be the job force of tomorrow, so choosing a career that will best fit with the needs of the changing world will be important to job satisfaction and a successful life. With the vast array of career and job options, it will also be important for young adults to understand which work will be the best match for their interests, talents, goals, and personality types. Certain careers are expected to gain importance within the early decades of the twenty-first century. The United States Department of Labor's Bureau of Labor Statistics projects that jobs in social work are on track to grow faster than the average rate for all occupations. 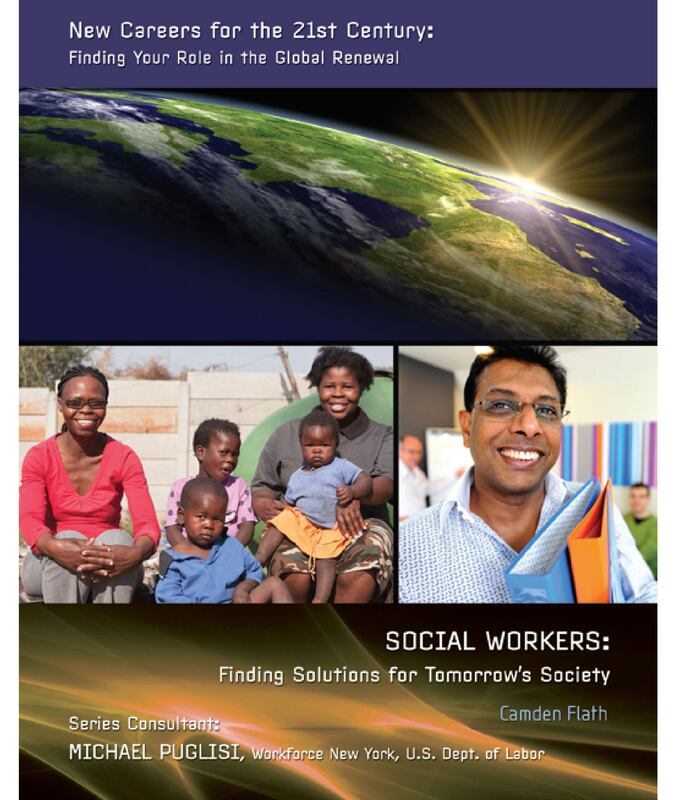 Social work is not likely to make you rich, but if you choose this career you will be making a difference in the lives of others-and that can be more fulfilling than money! Pharmacists and workers in the pharmaceutical industry are responsible for developing, producing, and distributing medicines that treat infectious diseases, prevent, and treat chronic diseases, or help control diseases in animals. Choose a career in the pharmaceutical industry and you could help save millions of lives and allow many people suffering from illness to recover and lead productive lives. The young adults of today will be the job force of tomorrow, so choosing a career that will best fit with the needs of the changing world will be important to job satisfaction and a successful life. With the vast array of career and job options, it will also be important for young adults to understand which work will be the best match for their interests, talents, goals, and personality types. Certain careers are expected to gain importance within the early decades of the twenty-first century. 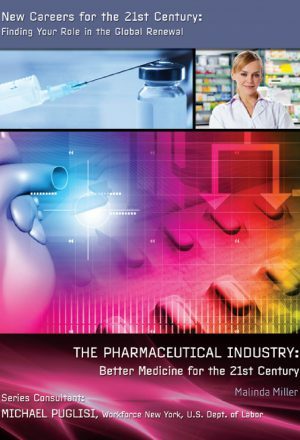 The number of jobs in the pharmaceutical industry as a whole is expected to increase slower than the average for all occupations, but pharmacists are expected to have excellent, job opportunities. A career as a pharmacist will allow you the opportunity to help improve people's health and therefore their lives. A job in the pharmaceutical industry could involve anything from discovering a useful chemical to marketing a new drug. 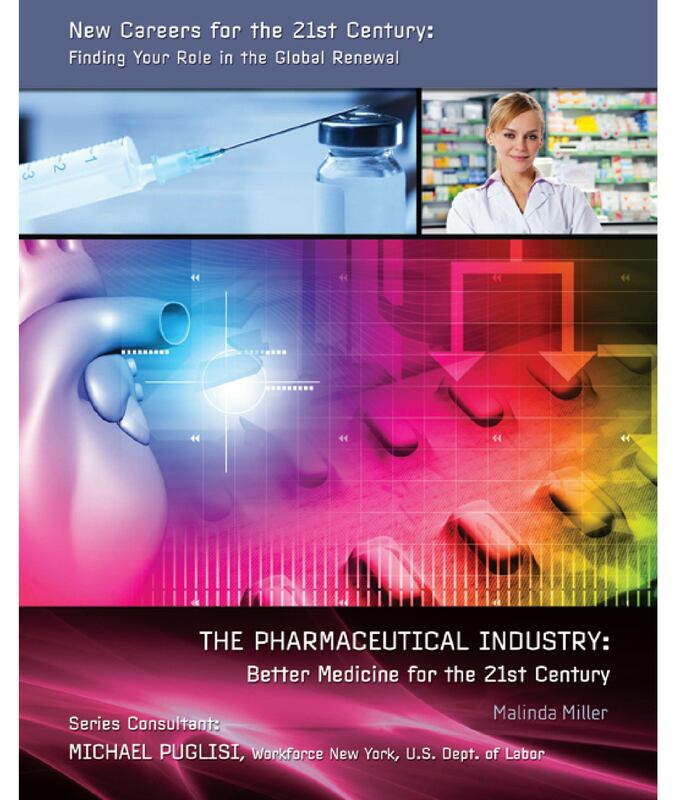 Clearly, the pharmaceutical industry is a huge one, with opportunities for many skills and interests! Some students have difficulty handling the basic routine of school because of illness, intellectual disability, or other problems. Some of these students need help from therapists who work in school settings, including occupational therapists, speech therapists, physical therapists, and audiologists. The young adults of today will be the job force of tomorrow, so choosing a career that will best fit with the needs of the changing world will be important to job satisfaction and a successful life. With the vast array of career and job options, it will also be important for young adults to understand which work will be the best match for their interests, talents, goals, and personality types. Certain careers are expected to gain importance within the early decades of the twenty-first century. 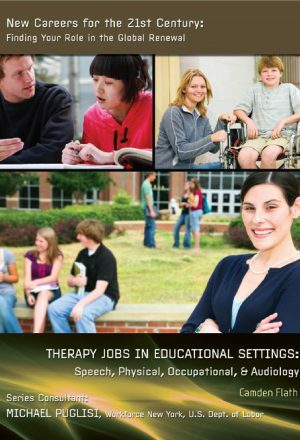 For all types of therapists in educational settings, employment is expected to grow faster than the average for all other occupations. 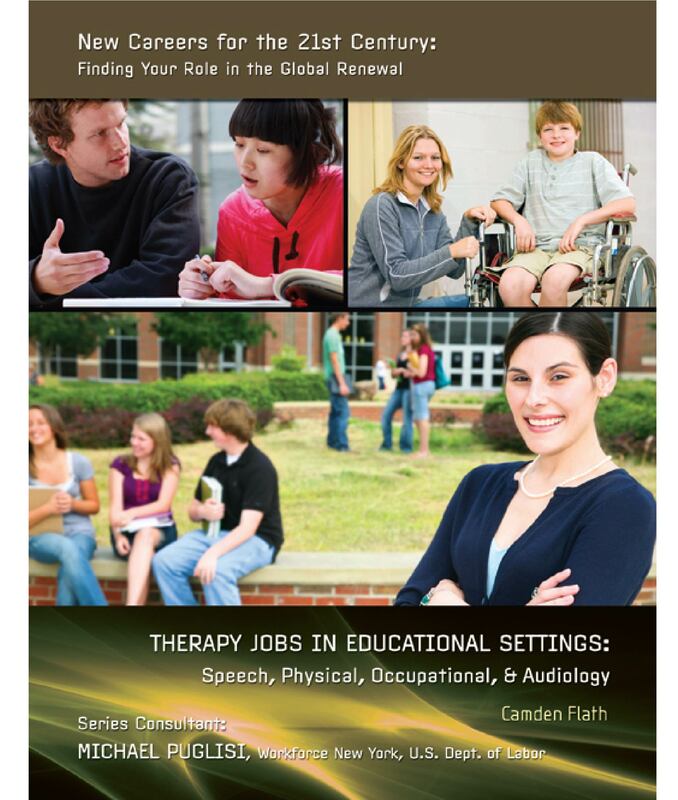 The twenty-first century will need people to fill therapy jobs, especially in educational settings. If this is an area that appeals to you, it might be a good choice for your future. Find out all you can about this career field to determine if it's the right one for you. The education children and young adults receive in school helps shape their future lives, and teachers shape this education. 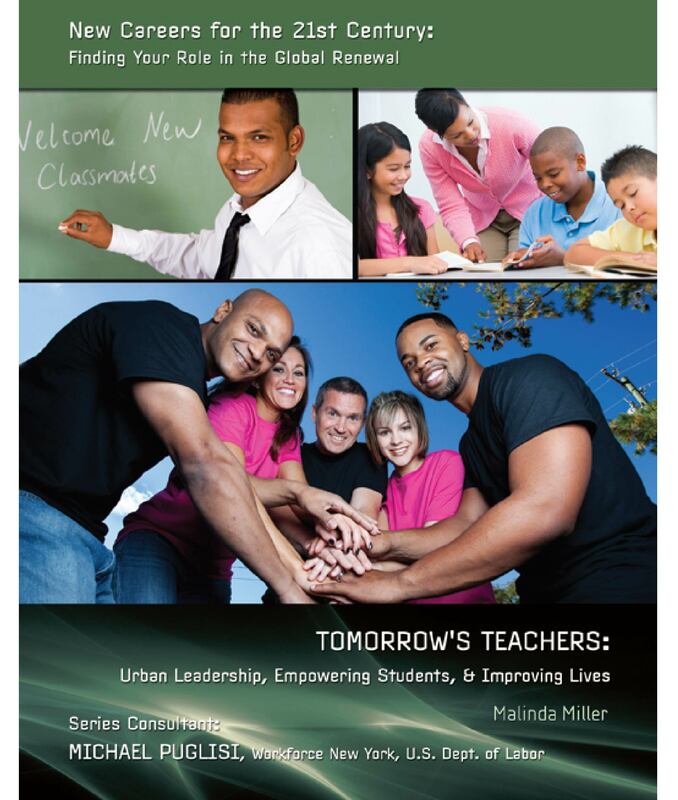 Teachers not only provide access to intellectual knowledge, but they also foster character development and social skills. At every level of education, teachers provide the tools and the environment for their students to develop into responsible adults. The young adults of today will be the job force of tomorrow, so choosing a career that will best fit with the needs of the changing world will be important to job satisfaction and a successful life. With the vast array of career and job options, it will also be important for young adults to understand which work will be the best match for their interests, talents, goals, and personality types. Certain careers are expected to gain importance within the early decades of the twenty-first century. 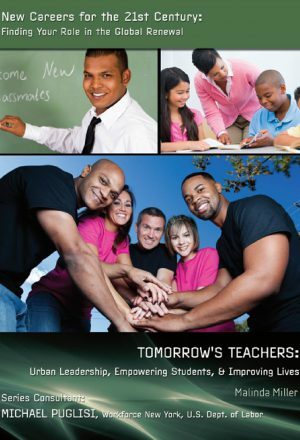 Teaching occupations are expected to grow faster than the average rate for all occupations. Teaching is a challenging occupation, and it will probably never make you rich, but if you choose to be a teacher, you will be a part of shaping future generations. Computer software helps us communicate with others, entertains us, and assists us in doing work. But who does the work of putting the software together, deciding how it will work and how people use it? Whether checking your e-mail inbox, playing your favorite video game, or writing a paper, you are using computer software that had to be designed and developed by groups of skilled workers. The young adults of today will be the job force of tomorrow, so choosing a career that will best fit with the needs of the changing world will be important to job satisfaction and a successful life. With the vast array of career and job options, it will also be important for young adults to understand which work will be the best match for their interests, talents, goals, and personality types. Certain careers are expected to gain importance within the early decades of the twenty-first century. Jobs related to computer software are on track to grow faster than the average rate for all occupations. 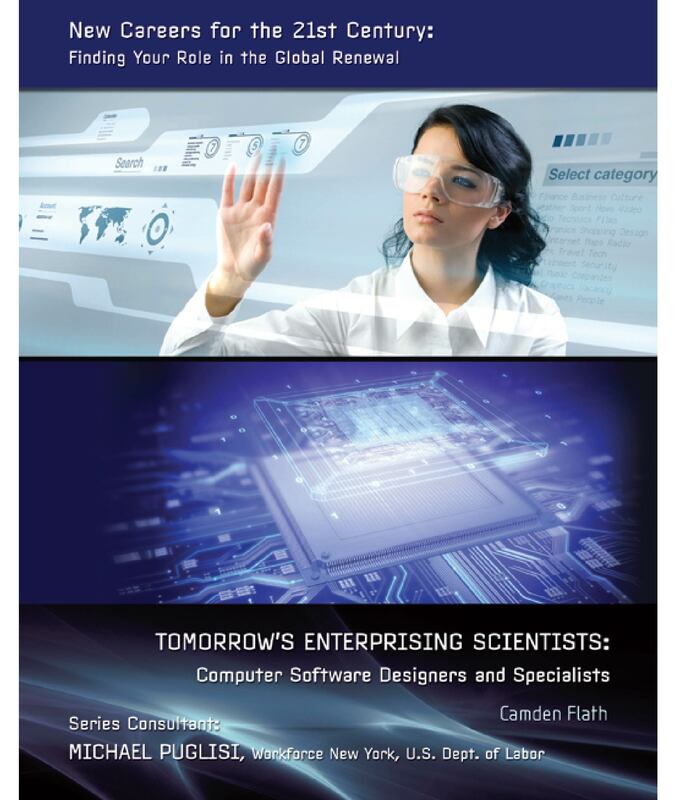 Careers in computer software will prove to be a vital part of the coming decades of the twenty-first century, just as they have been in its first decade. Who will companies and organizations turn to when they need advice about communications and computer technology? 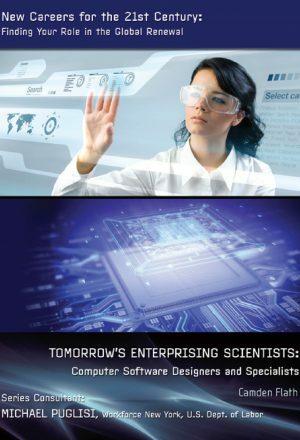 Who will create tomorrow's software-the next useful tool that will change the world or the newest million-selling game? Could it be you? 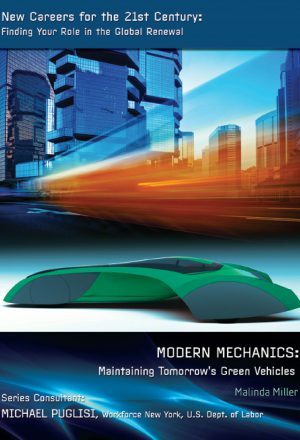 Throughout history, humans have been finding and developing ever-faster modes of transportation-moving from horses to the cars and high-speed jets of today. We have been very successful in our search for faster transportation, but it has come at a price. Our vehicles have all had an effect on the natural environment. The good news is there are a growing number of people devoting their lives to solving environmental issues related to transportation. The young adults of today will be the job force of tomorrow, so choosing a career that, will best fit with the needs of the changing world will be important to job statisfaction and a successful life. With the vast array of career and job options, it will also be important for young adults to understand which work will be the best match for their interests, talents, goals, and personality types. 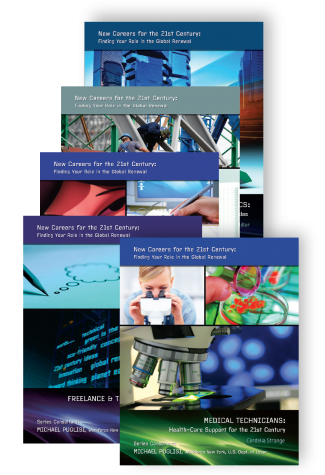 Certain careers are expected to gain importance within the early decades of the twenty-first century. 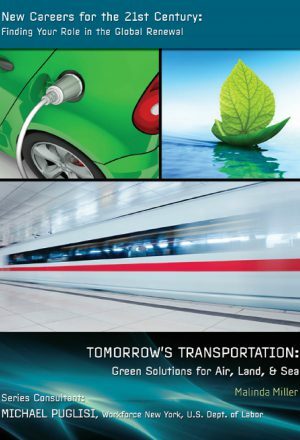 The opportunities for jobs related to "green" transportation are expected to increases at a faster than average rate as the world looks to repair damages already done to the environment and prevent new problems. 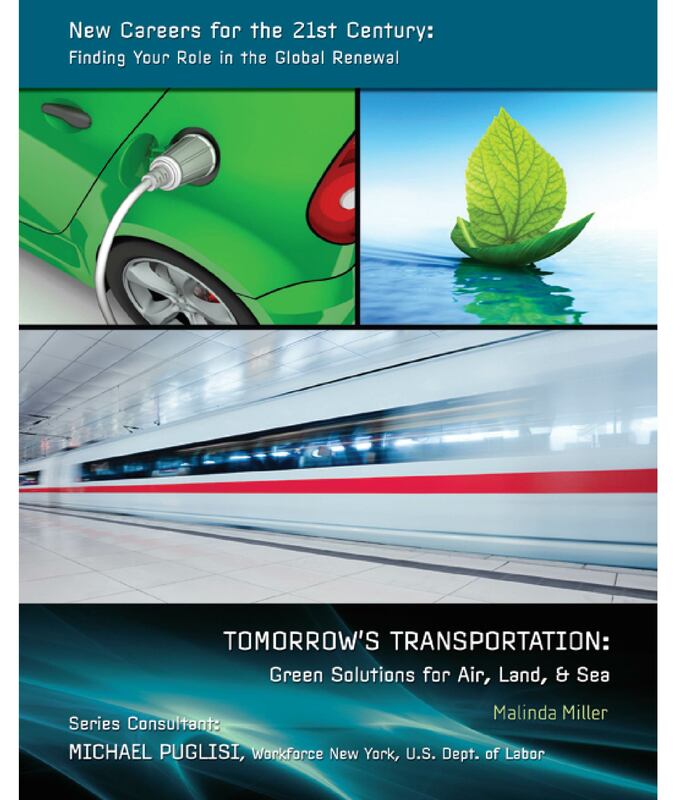 The future of the planet is dependent on the development of cleaner and greener forms of transportation. If you choose a career in green transportation, you can help put us on the road to a better world!